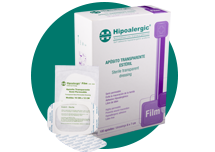 Elastic, sterile polyurethane, highly permeable dressing uniformly coated with an hypoallergenic and sensitive under pressure adhesive on one side and laminated with siliconed paper. Easy to handle, resistant to breakage due to its high elasticity and highly adaptable to the contour of the patient. 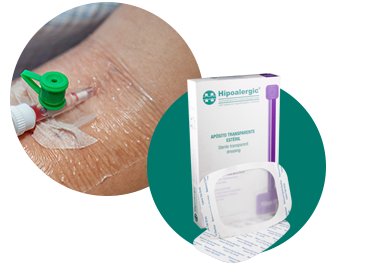 Recommended for secure fixation of intravenous catheters, skin protection in superficial wounds, decubitus ulcers, keeping clean surgical wounds and skin graft areas. 1432 JUAN JOSÉ PASO ST.